ZGF Architects have submitted drawings of the proposed Canopy by Hilton hotel to the City for Design Advice. As currently proposed the 10 story hotel will have 153 guest rooms. The developer behind the project is the Buccini/Pollin Group and the hotel will be operated by PM Hospitality Strategies. A Pre-Application Conference [PDF] has been scheduled to discuss the renovation of the former YMCA at 2815 SW Barbur Blvd. 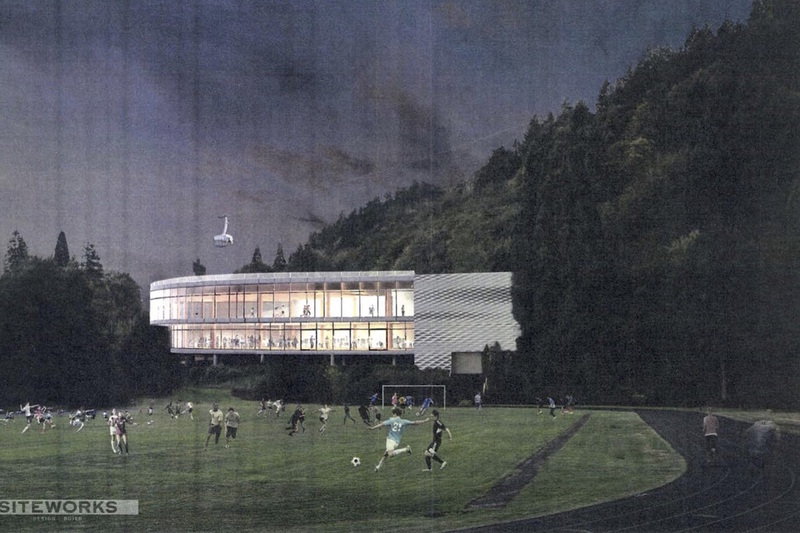 As first reported in April the building will the new home for Under Armour’s Portland operations. The designers of the project are Siteworks Design | Build, who are working with Seattle based Interurban Development. The project will include a new glass façade for the building, and “small changes to the entry”. 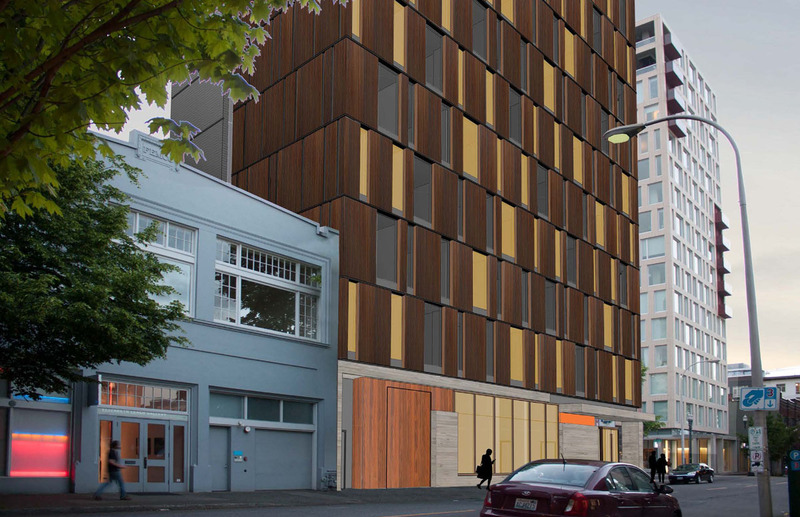 The Design Commission has approved 811 Stark, a 4 story mixed use building in the Central Eastside by Works Partnership. The building will include 24,000 sq ft of office space over 2,600 sq ft of ground floor retail space and parking. A 2,000 sq ft rooftop plaza will be located at the top of the building. New 4 story, 40 unit apartment building. 22 parking spaces provided. 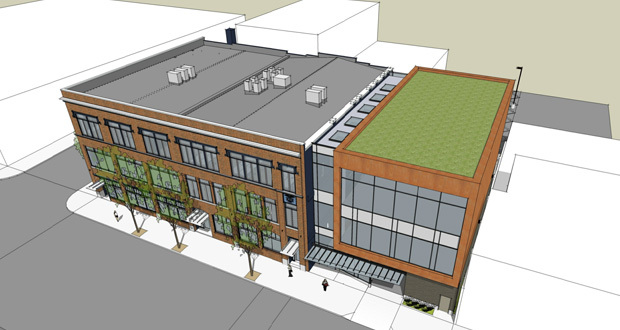 Work has begun on Clay Creative, the Central Eastside office building formerly known as 240 Clay. Eater PDX reports that Renata Restaurant has opened in 626 SE Main, a converted warehouse that also houses Ancient Heritage Creamery. 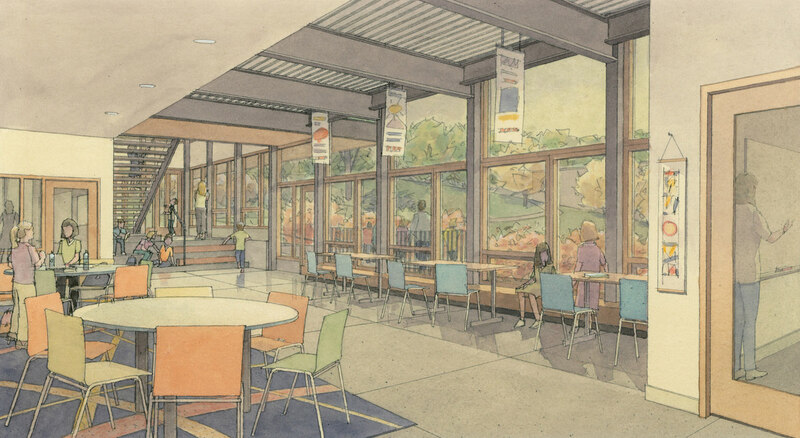 The Foster Powell blog wrote about the proposed rebuild of the YMCA at 6036 SE Foster. 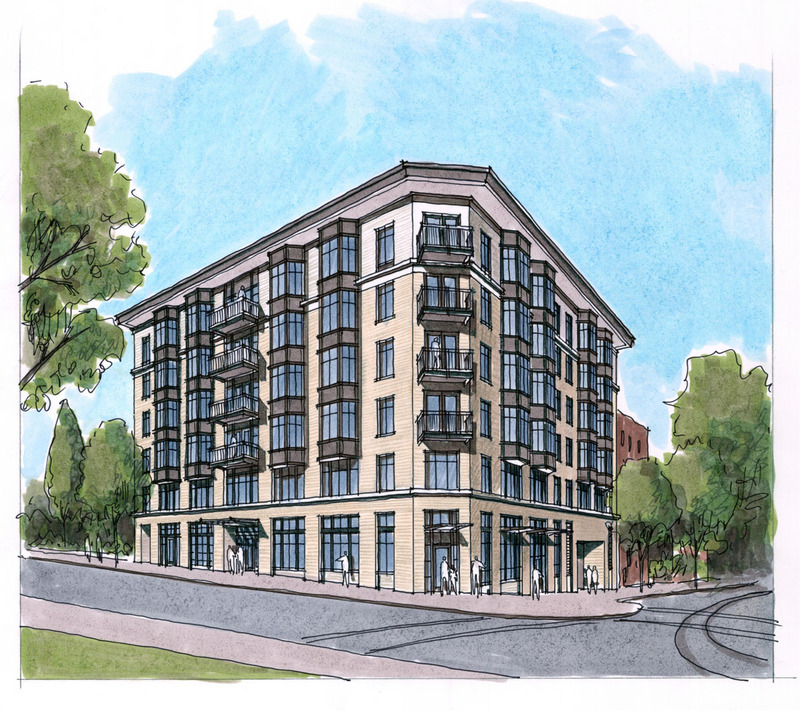 The Portland Chronicle reported that 76 apartments units are planned for a site 7400 SE Milwaukie Blvd. The apartments will replace a single family home, a shed and single story commercial structure. A panel that included Tim Boyle, Andy Bryant and Mark Edlen discussed the future of St Mary’s Academy, which plans to expand its campus to the site formerly home to the University Post Office. 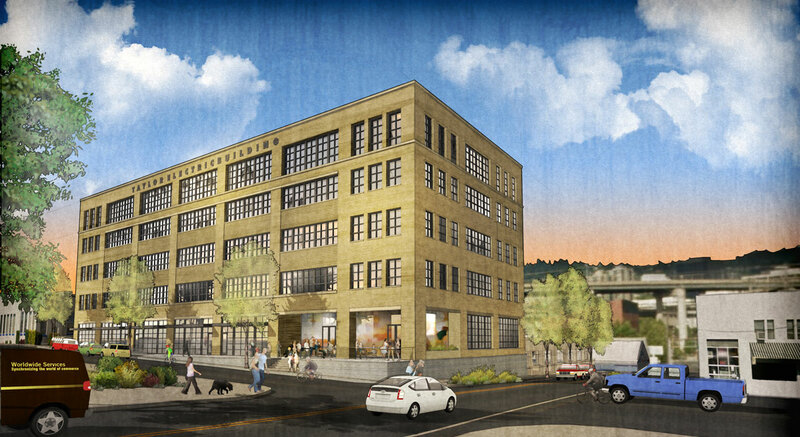 An article in The Oregonian looked at One North, the 3 building office development on N Williams. Note: due to the Memorial Day holiday the Bureau of Development Services is closed today. The Metro Reports will likely be published tomorrow. 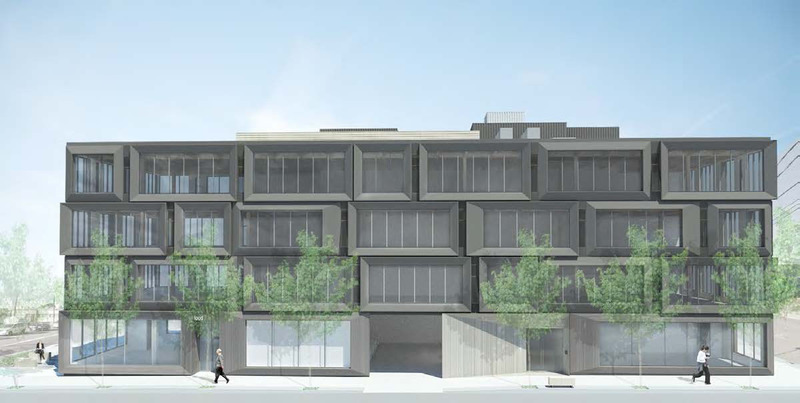 Modera Belmont, a 6 story mixed use building in the Central Eastside by SERA Architects, is currently working its way through the Design Review process. The full block development would contain 202 dwelling units above ground floor retail and live/work units. 105 car parking spaces would be located in a below grade garage, with bike storage located in a common room accessed directly from the SE 7th Ave. The development is by Mill Creek Residential Trust, who recently broke ground on their similarly named Modera Pearl apartments. Design Advice has been offered by the Historic Landmarks Commission to Emerick Architects for a proposed mixed use building at 635 NW 21st Avenue. The 4 story building by Urban Development Partners will include approximately 57 residential units, with a mix of studios, one and two bedroom apartments. 62 car parking spaces would be located in a below grade garage, and 65 bicycle parking spaces would be located in two secure bike rooms. A 10,600 sq ft retail space is proposed at the ground level, which could potentially be divided for multiple tenants. 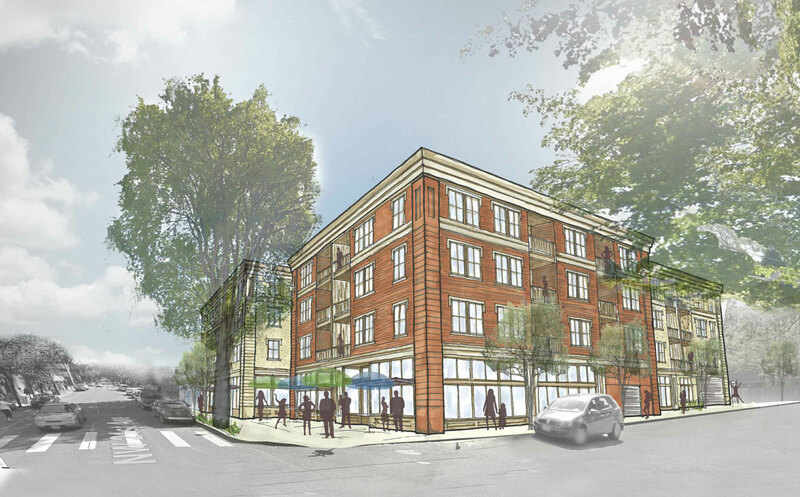 Construction is underway on the Market Street Apartments, a six-story residential building in downtown Portland. 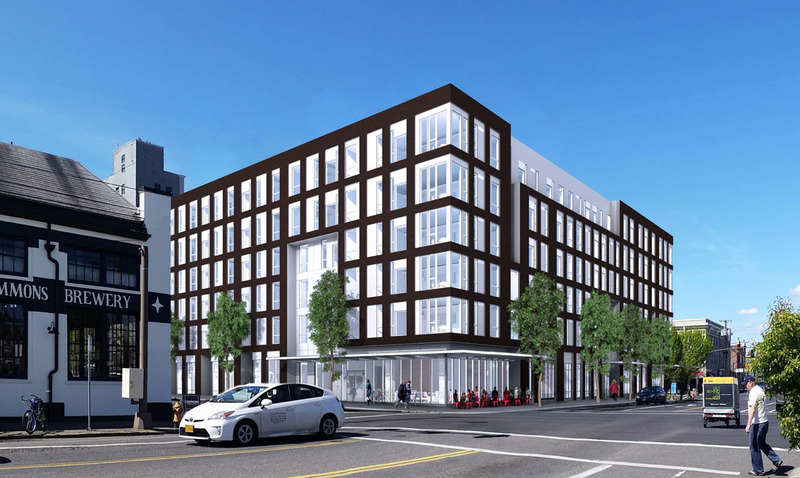 SERA architects designed the building, along with two other projects on the same city block: the planned 12th & Market Apartments and the under construction 12th & Clay Apartments.